Nicki Minaj has been laying low since all of the controversy with her new boyfriend Kenneth Petty and several online and real-life spats in 2018. Now, she's getting back to the music. And she brought her alter-ego Roman Zolanski with her. The NYC raptress rules her kingdom of darkness in her new visuals for "Hard White," a standout track from her QUEEN album that dropped last year. 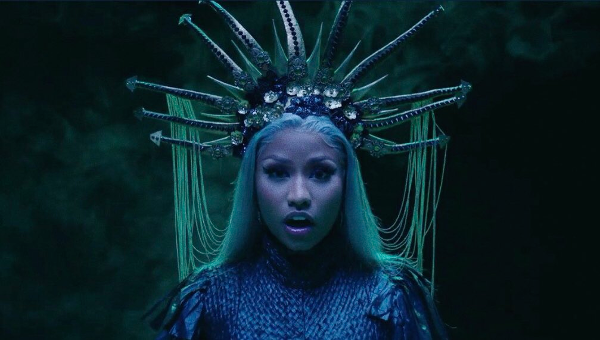 In the clip, she rules over her zombie subjects, channeling different sinister characters as she positions herself as the Queen in a snakeskin headress to rule the underground. The video is visually captivating and there are seemingly several shady subliminals mixed throughout. In a quick shot, a gramophone is shown that resembles a Grammy Award as she raps, "I'm the trophy of the game, everybody tryna win me." Fans quickly took that as the Head Barb shading the Grammys for snubbing her. She didn't get one nomination this year. 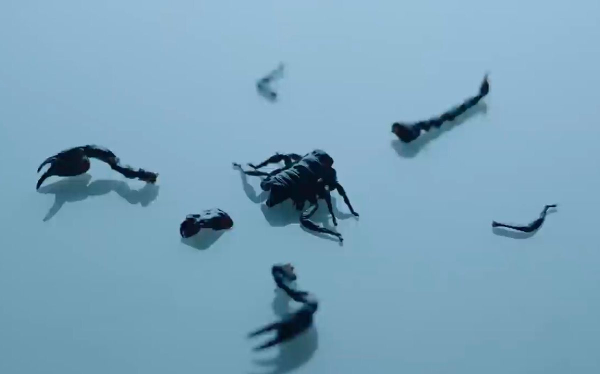 Then, there's a quick shot of a scorpion in pieces, which fans think is a shot at Drake, who released his Grammy nominated SCORPION album in June 2018. You may recall Nicki calling out Spotify for promoting Drizzy's album more than hers. There's also a visual of a dead bird in the video, which fans believe is shade meant for her enemy Cardi B or music writer Wanna Thompson, who was harassed by the Barbz for criticisizing Nicki's work after she put her on full blast on social media. PREVIOUS: Fashionably Fresh Keke Palmer Does 'PIMP' Talk In NYC Before Hosting The 'Wendy Williams Show' + Find Out Who Else Will Be Guest Hosting!